[PDF] Check Your English Vocabulary for Living in the UK: All You Need To Pass Your Exams | Free eBooks Download - EBOOKEE! Description: Check Your Vocabulary workbooks are aimed at learners of English who want to build vocabulary in a specific area. 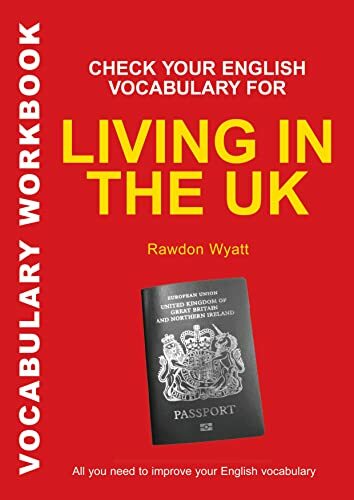 Check Your Vocabulary for Living in the UK is a new title in the range which focuses on the everyday English vocabulary required for would-be British citizens and people for whom English is a second language who want to live, study and work in the UK. Like all titles in the Check Your Vocabulary range, Check Your Vocabulary for Living in the UK will comprise quizzes, word games and puzzles that help teach and build vocabulary in a stimulating way. No comments for "[PDF] Check Your English Vocabulary for Living in the UK: All You Need To Pass Your Exams".